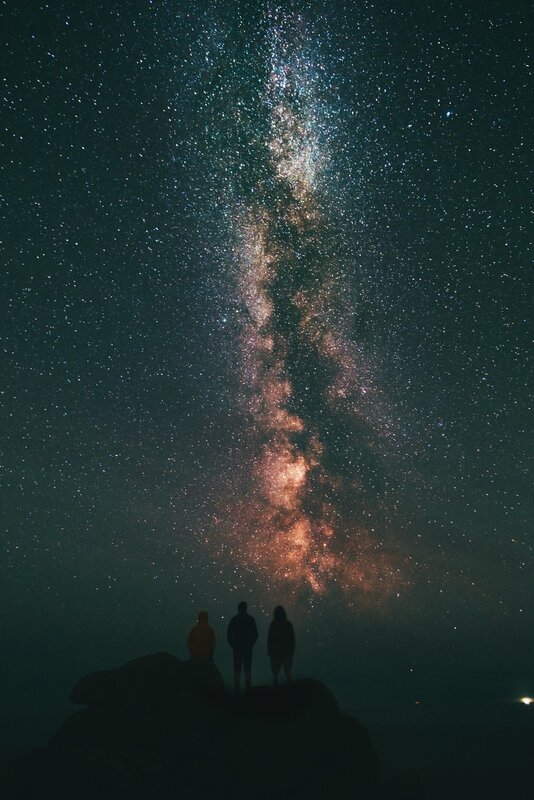 We here at The Milky Way Society are just of bunch of regular folks from Central and Southern Ontario who think that star gazing makes for an ideal community activity. Part of our mandate is to educate people on the value of preserving the night sky, the benefits to personal health and well-being by reducing excess lighting in built up areas and the opportunity to maintain a healthy environment for all the creatures who thrive in the world after the sun sets. We encourage neighbourhood associations, nature groups, service clubs and friends to consider the fun of hosting a star gazing party. It’s as simple as planning to head out on a clear night, keeping track of the phases of the moon so the night sky is as dark as possible and remembering to bring along a blanket. No-one expects everyone to turn out the lights and go back in time, but we think that through education, everyone can become aware of how their individual actions can mitigate the glare of excessive and unnecessary lighting outside at night. We realise that this is an ongoing project with a long term goal. We also understand that at this point many people may not be aware of what we’re all about or even understand the value of preserving darkness. And people like you, joining together quietly with people like us is how movements grow and social change happens. So we’d like to ask you to consider joining our mailing list and tracking us on your favourite social media platform. We’ll update you with news and events we’re hosting or sponsoring. We’re not asking you to sign a petition although we may at some point in the future invite you to do so if we think an issue warrants that type of appeal. We simply want to keep you up to date on news and events. We're a pretty laid back group of activists. Did you get that? Laid back? Sorry, we couldn't resist. Or, better yet, e-mail us and invite us to your event! Jour our group mailing list!